Many embedded applications, specifically safety-critical ones, have strict real-time constraints. In the very worst case, missing a deadline can be catastrophic. Therefore, many approaches have been developed and successfully deployed whereby time is explicitly used to schedule the application tasks. A very important design paramater is a guaranteed Worst Case Execution Time (WCET). While this approach can be justified partly for historical reasons but also for reasons of simplicity, modern many-core processors pose a significant challenge as the chips combine multiple tightly coupled processing cores, fast caches to alleviate slow memory and complex peripherals. All these elements result in a statistical execution behaviour whereby a measure like WCET is no longer practical. In this paper we advocate that this situation requires a different approach to programming, i.e. one based on events and concurrency with time no longer being a strict design parameter but rather a consequence of the program execution. It is a consequence of applying a separation of concerns to execution in space and time. Benchmarks obtained with the latest version of VirtuosoNext Designer, a fine-grain partitioning multi-core RTOS, illustrate that this is not only feasible but also with no compromise on the real-time behavior. In the latest implementation this was extended to real-time fault recovery making systems much more resilient than with the traditional approach. 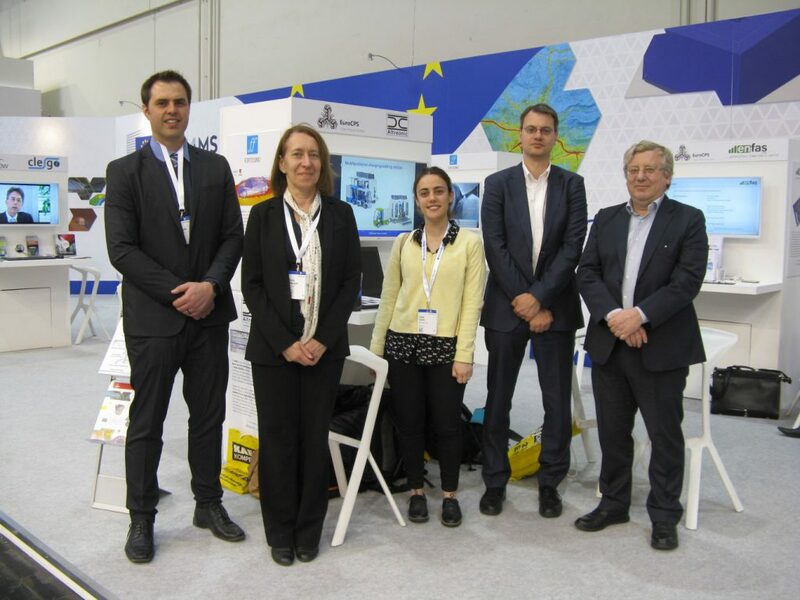 Altreonic has been demonstrating VirtuosoNext at the Hannover Messe, 24-28 April on the EUROCPS booth with Thales TRT. Visit us Hall 3, Booth E02 (European Comission). Altreonic's team has been meeting many interested visitors at the Hannover Messe April 24-28. Highlights were the novel City-KURT concept as well as VirtuosoNext. The fine grain memory protection in combination with microsecond real-time performance and a small code size is a breakthrough for VirtuosoNext Designer. In combination with the static programming model that eliminates many known safety and security risks, it delivers unprecedented real-time performance in combination with fine-grain partitioning for safety and security critical applications. Altreonic has now ported VirtuosoNext™ Designer to the Freescale QorIQ T2080/1 processor. The chip has 8 floating point cores implemented as 4 CPUs with a dual register set running at 1.8 GHz. The latest port of VirtuosoNext Designer delivers unprecedented hard real-time capability in the microsecond range in combination with fine grain task level space and time partitioning for embedded safety-critical applications. In contrast to traditional hypervisor based partitioning schemes, VirtuosoNext™ protects each application task separately in memory with a real-time response still available in the microseconds range as one expect from using an RTOS. Moreover, the code size is measured in Kbytes, allowing optimal use of the on-chip caches for best performance. VirtuosoNext Designer can be considered a 5th generation of the Virtuoso RTOS, whose origins go back to 1991. It was the first RTOS that was completely distributed and mainly used for parallel DSP applications, often in the demanding aero-space-defense domain. Some target systems had 12000 processors, the most prominent one was ESA's Rosetta spacecraft.